Transport belts help to keep the transported cargo in place. They are necessary not only in trucks but also in every vehicle transporting large cargoes. In order to use them correctly you should get familiar with their characteristics. A belt and the attached tensioner bear a special label whose color indicates the properties of a given product. It is worth remembering that the labels are a clear indicator of a material from which a belt was made. The belt’s color is of no relevance. Colors of labels attached to transport belts. brown – belts made of polypropylene. These belts are the most resistant to chemical agents, they can be used in the acidic environment and in contact with lyes. Belts bearing a brown label can be used in temperatures ranging from -40 to +80 degrees Celsius. Which parameters of a transport belt are the most significant? To protect a transport belt against damaging the safe working load should not be exceeded. This is one of many parameters that can be found on a label attached to a given belt. Which parameters should we pay attention to? Lashing capacity (LC). The parameter specifying the maximum force that may be applied to a belt in a straight pull. Expressed in a force unit – daN on a label, a value expressed in Newtons must be converted into kilograms. In case there is no acceleration it may be assumed that 10N = 1 kg. In a round pull (round turn lashing), the strength of a belt doubles. LC-2500daN designation indicates that the strength of a belt in a straight pull totals a maximum of 2.5 tones and in a round pull – 5 tones. SHF (Standard Hand Force). The maximum force that may be applied to a tensioner. Usually, this parameter equals 50dkN (or 50 kg). The value has a significant influence on strength as when exceeded it may result in damage of a tensioner or breaking of a belt. STF (Standard Tension Force). The value indicates the maximum force with which the cargo will be pressed against the substrate. The right pressure increases friction between the cargo and substrate, which affects the lashing quality. 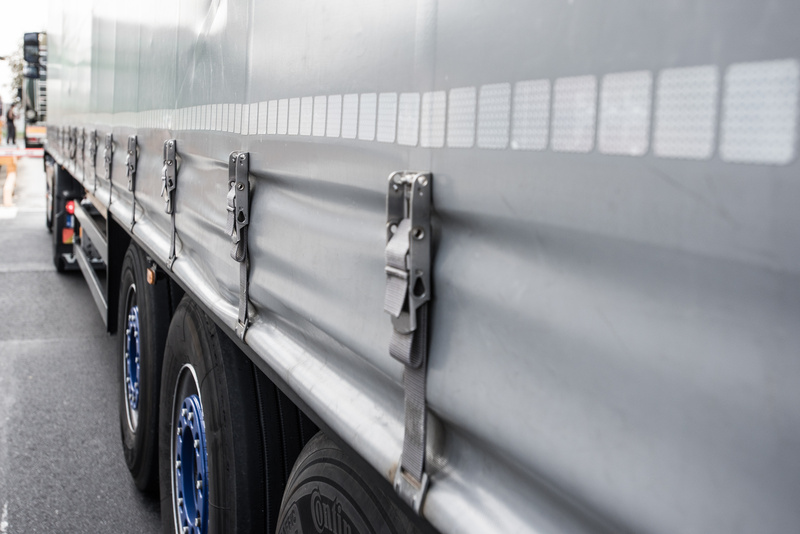 The STF parameter is the most important one because it determines whether the goods will stay in place during transport and whether a belt will break in the event of sudden maneuvers on the road. Transport belts are usually stored in semi-trailers. However, in semi-trailers they may be exposed to sand, which, after penetrating belt fibers, cuts them. As a result, belts become soft and swollen. Freezing and defrosting may also have a negative effect on transport belts. Water freezes inside the belt, stretching it and damaging its structure. To ensure the correct use of a transport belt it is important to observe the information provided on the attached label and store it in a proper manner. The belt should not be exposed to soiling or cold weather because difficult conditions may impact its durability.